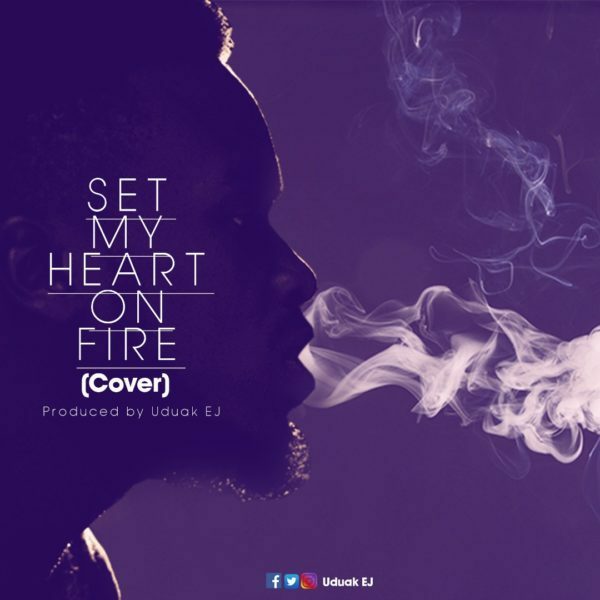 Uduak EJ releases the cover of ‘Set My Heart On Fire’ which was originally sung by Victoria Orenze. We all want do something for the one we love but often times,we tend to stray from the path that leads to the one’s heart as we get carried away by our desires,life happens!! There’s so much we would like to do for THE KING but sin keeps us far away from doing those things. Paul says, I find myself doing the things I dislike and the things I wanna do,I can’t because of this flesh. We live in times the bible described as the end time and some of the signs are that the love of many will grow cold,men will become lovers of themselves rather than of God,deceivers will be all around claiming to be the Christ. A lot will happen that will make one ask questions that may seem unanswered at the moment. These will make many lose their commitment to the things of God,hearts will grow cold on these dark days except our hearts are set on FIRE!! Just like vessels filled with oil,we will be useless without FIRE especially in these dark days. We are meant to shine in these dark days. We have been set up on a hill to light the city up and as a lighthouse,to redirect lost ships back to God who’s the ultimate destination.